I have quite a few things on my bucket list: go and see the Great Pyramids, climb up the Great Wall of China, enjoy a scenic coastal drive in the States (which I plan to achieve by the end of the year) and backpacking in Vietnam. Another item on my to-do list is fly to Indio, California and attend Coachella. Everything about this annual event interests me― from the superb musical line-up to the awe-inspiring festival fashion. This is the type of outfit that I would wear to Coachella. It's breezy, comfortable and music festival-appropriate. 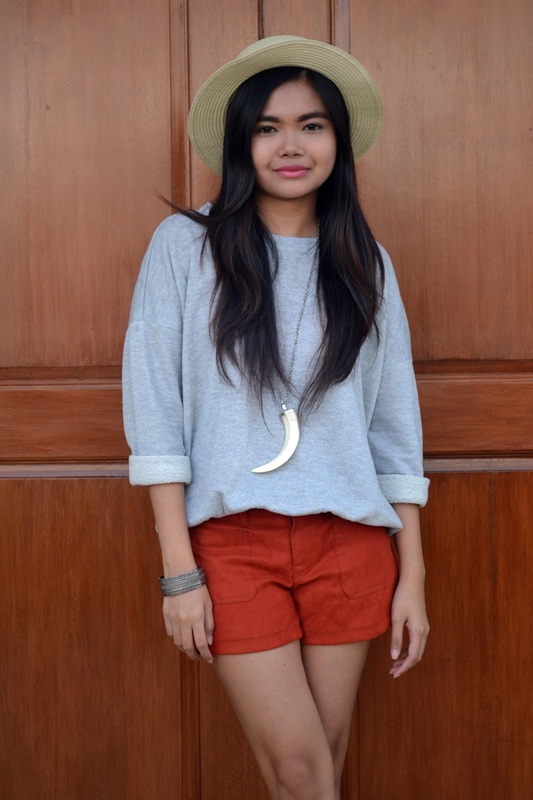 I'm wearing my slouchy gym sweatshirt from Topshop and my new suede shorts from Strawberry. I swear I am in love with this color! I also like that it looks great when paired with warm, earthy hues. 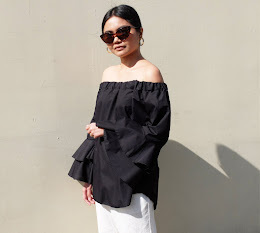 The accessories I have on are my brown peep-toe ankle boots (my latest purchase from Charles & Keith,) a horn necklace, straw hat and an antique silver bangle, an heirloom from my husband's family.